The history of Banner Life Insurance Company is more than 50 years strong. Chartered in 1949 as Government Employees Life Insurance Company (GELICO), they were acquired by Legal & General Group Plc as a wholly owned subsidiary in 1981. 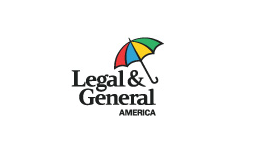 In 1983, the name was changed to Banner Life, signifying a flagship position with Legal & General America in the United States. Banner Life’s subsidiary, William Penn Life Insurance Company of New York , joined the corporate group in 1989. Since that time, management for both companies has been consolidated at the senior level. Banner Life’s national presence, William Penn’s nearly 40 years of brokerage experience and the operational synergy between both companies is a strong combination. Banner Life takes financial promises seriously. They also promise to treat their customers fairly and to apply ethical standards to every business transaction. The company believes in offering low-cost, innovative products and responsive service. Its goal is to build lasting, mutually beneficial partnerships for life. These ratings indicate that Banner can and will honor its commitments to policy owners…based on its own, independent financial strength.